Our Key Holding service enables us to hold a set of your keys in the event they are needed locally. This service offers property owners the peace of mind that, should the need arise, the property can be accessed at any time. There are two services, namely Key Holder and Key Holder Plus. Both of these services require the owner to deposit keys with Valet dAnniviers. If the property is for the sole use of the owners, one set of keys is required, however if guests of the owner will be using the property and collecting keys from us, we will require 2 sets of keys (1 set for us and 1 set for your clients / guests). We can arrange to have additional keys cut if required. 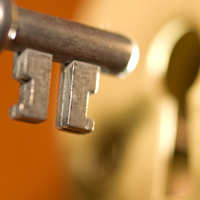 The Key Holder service is our basic service, where we simply hold a key on your behalf. Any further services required thereafter are chargeable at our published rates.